This will likely be a gear shift from what you are used to on my blog. For the last while, I’ve been spending a lot of my time focusing on positivity, good vibes, and self-exploration through activities and changes in actions. However, fundamentally, how we self-talk can filter and dictate everything we do, think, and feel. 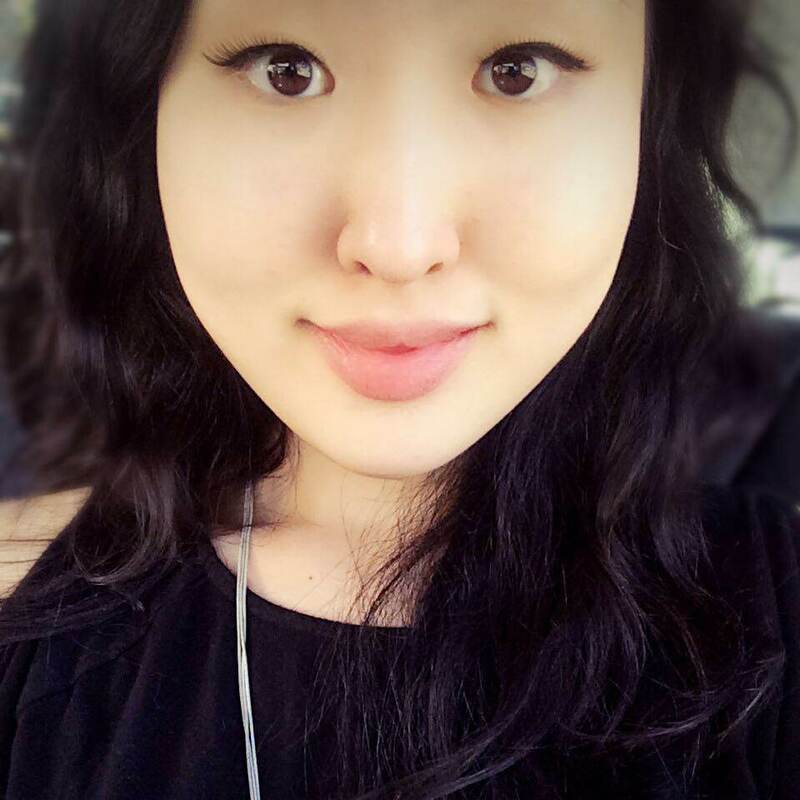 Although I write about self-care and mental health and it may seem that I have a good handle on my self-talk, I don’t want my readers to be disillusioned. I have blocks of time where I am not doing well. I sometimes have absolutely terrible days. Sometimes these periods are as long as a couple of weeks, and others only a few hours. I’ve been riding through one such low period of my life for a few weeks, and only now, at the end of May, I realized that it was happening. The evidence was in the words I was choosing to use toward myself…particularly one of them. I’ll tell you a little secret of mine. I have never, even once, sincerely told myself that “I am enough”. I am obsessed with growth. I constantly seek out new resources, new apps for productivity, new self-care concepts and ideas, new ways to cultivate skills, and I keep myself very accountable for my goals. Instead of “I am enough”, I say to myself, “I should be doing more”. No matter how much you have accomplished, inevitably, there are times in life where you look back and feel as though you actually have not been doing much of anything. 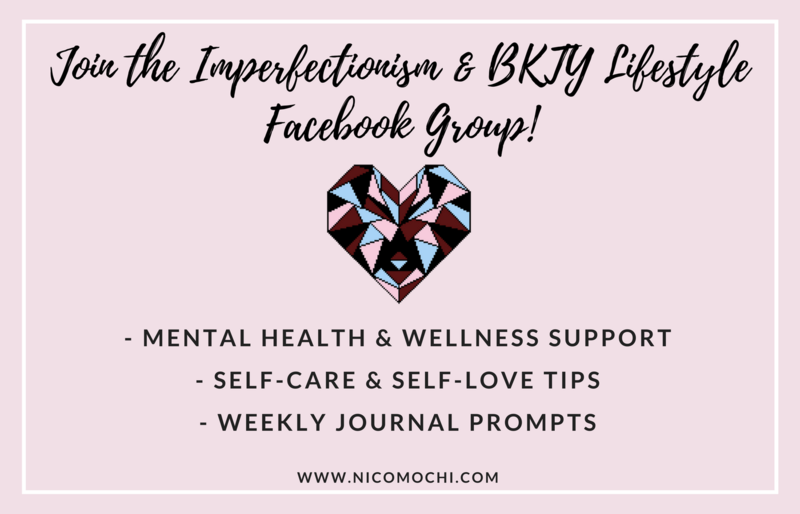 I posted a journal prompt last week on the Imperfectionism & BKTY Facebook group on this topic. The main message was: Can we give ourselves permission to celebrate where we are and how far we have come, regardless of how much we still need to do? I started a more regular fitness routine, which is going very well and I am enjoying it. I should do more push-ups next month. I explored my spirituality along with Gabrielle Bernstein’s book “The Universe Has Your Back: Transform Fear to Faith” (amazing read, by the way). I should meditate using Gabby’s kundalini meditations to connect with my spiritual self. I spring cleaned my closet and living spaces. I should declutter and clean the rest of the house to simplify my mental space. I made a full cosplay for a convention in 3 days (because I misplaced the one I was going to wear). I performed many social exposure experiments while I was away at the convention. When I looked at these accomplishments at the time, I was not satisfied. I was overwhelmed by the thought that “this is not enough”. That I am not enough. That I should be doing more. That I should be at some ‘higher level by now’. It may seem non-sensical. I’ve worked on a physical, an environmental, and a spiritual goal. A skill-building goal, a social anxiety-related goal, and a mental self-care maintenance goal. It seems well-balanced. It seems impenetrable. Yet I found myself stuck in a mentality that others were much farther ahead than I was in what I called, “things that matter”. And I was finding it difficult not to compare where they are at with where I was at then. Comparisons seeped into my own goals. When I worked out, I compared myself to someone who can do push-ups better than I can, or someone who looks a certain way. When I spring cleaned, I compared the state of my home with how I envisioned others’ homes to look (slightly unkempt but mostly organized). When I meditated, I compared myself with people who can meditate “better” than I could, as if that can even be quantified! When I sewed and put together my last-minute cosplay, I compared myself with other cosplayers. In my lower-than-typical mental state, I lived through and with this overall energy of “envy” toward others. I recognized and accepted that this envy existed, and that it had been sucking out my creative energies and my positive light. I was using a lot of “should” statements. I should be incorporating more into my project because I’ve completed the fourth-year course already. I should have spent more time looking over my previous notes. We should look at the pros and cons of each possibility. Wow, that’s so true. I totally didn’t know where you were going with that one! I should change the way I speak toward myself. When I thought about this revelation a bit more after the meeting, I realized more differences between “should” and “could”. ”Should” comes from a place where you believe that right now, you are not enough. “Could” comes from a belief that you are enough, yet there is more that you can do. “Should” statements often harbour a vibe of dissatisfaction with oneself. It directly links to the issue of comparing to others as well, because “should” implies that there is a place that we need to be at. Often, this place is where we perceive someone else to be at. The problem is that this often swats us down as opposed to building us up! “Could” statements, in contrast, start with a sense of being grounded in oneself. We start from a place of self-awareness, and radical self-acceptance, and we build from this foundation. When a person becomes aware that they want to accomplish something, ”should” carries a sense of urgency and immediacy, whereas “could” invites preemptive thought and planning. I imagine someone governed by “should” statements as being continuously and ruthlessly chased by a fearsome being directly behind them. This being could have many names – “society”, “expectations”, “the inner self-critic”, etc. This overwhelming pressure can make an individual feel like they need to continuously act right away without stepping back or assessing what is going on within themselves and in their environment while they are heading toward their goals. My mental image of someone using “could” statements is very different. This person is actually very still in the beginning. They are sitting down, and they are contemplating how they can grow from where they currently are at. The fearsome being is not completely gone, because frankly, it is impossible to completely rid ourselves of fear. However, the person has realized that the being cannot in fact physically affect them. The being continuously phases through this person who is able to mindfully observe the fear and their own thoughts before even standing up. ”Should” assumes there are only a discrete number of solutions or paths. “Could” explores the possibility of infinite solutions or paths. I envision that an individual who is focused on “should” statements would have their eyes fixated on what they will to be the “end result”. In doing so, they may believe that there is only one “right” path or a small number of possible “right” paths to get to a certain goal. This is especially the case when the path is one that someone else took to get where the person believes they should be. (For example, if an upper year told you exactly which courses to take, which TAs to avoid, and how to spend your time if you wanted an acceptance to medical school). On the other hand, a person governed by “could” statements is aware that there are as many paths to take toward a goal as there are stars in the sky – or at least, a lot more than first meets the eye. They are open to trying unconventional paths, and paving their own paths. Once the person begins taking action toward their goal, ”should” often leads to the choice to ignore one’s reservations and anxieties in the name of continuing to move forward. “Could” allows for self-reflection and the practice of radical self-acceptance…being kind to yourself. An individual who primarily uses “should” statements is essentially running from their fears. They never turn around, lest they lock eyes with the fearsome being behind them. They would prefer to pretend the being does not exist, thinking that if they keep moving and ignoring it, and reach that “end result”, they will disappear. In contrast, a person who uses “could” statements begins moving from a place of connect with themselves. They have an idea of the “end result” they would like, but they appreciate the process and are open to changes along their journey. They slow down when needed, and they recognize and address the fearsome being cordially to try and understand them as well. When a goal has been reached, “should” allows little time to revel in the accomplishment. “Could” puts a healthy break between the accomplishment and possible next steps. When we use “should” statements often, it can become easy to get locked into a mental cycle. It does not matter that we’ve just accomplished something, because there is already something else we “should” do. Until we reach this new accomplishment, we cannot celebrate. However, when we use “could” statements, we take a pause to reflect on what had just happened. We check in with ourselves, and then we start thinking about possible new paths to pave from that place of connect. You could embrace your imperfections and be kind to yourself by a shift in the language you use with yourself. Haha! See what I did there? This is the main takeaway. I spent a lot of time in May thinking that I “should” be doing this, or I “should” be doing that, or I “should” be at a certain place by now. However, all that this language did was keep me in a consistent state of dissatisfaction. Don’t get me wrong – it is okay to want to grow, and to look for ways to improve. I only wonder if we can do so while telling ourselves, “I could try this” as opposed to “I should try this”. If you notice yourself using “should” statements, know that it is okay that it happened. Give yourself a pat on the back for recognizing it! Shifting language toward yourself, as with all other deeply rooted habits, will be quite the process. Bkty definitely has a ring to it, doesn’t it! 🙂 Thanks for reading, Afi. Take care!